Should You Rely On A Credit Card For Emergencies? 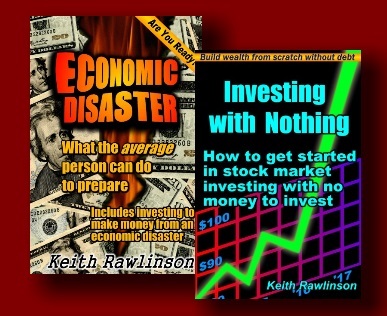 I have some great eBooks available. Many times, when I tell someone you need savings in order to be ready for financial emergencies, they tell me that they just use their credit card for emergencies. Is it a good idea to use a credit card to deal with financial emergencies? No it isn't, and let's talk about why. By definition, a financial emergency is a time when you suddenly need money to deal with an unexpected expense. By definition, the word 'credit' in credit card means that you are being extended credit; in other words, you are borrowing money. So, if you rely on a credit card to handle financial emergencies, you are by definition borrowing money at a time that you are already having financial problems. Instead of having just one stressful, financial event to deal with, you now have two--the financial emergency and going further into debt to deal with it. This alone should tell you that relying on a credit card for emergencies is not a good plan. But, just in case you aren't convinced, let's now discuss exactly why it is a bad idea to rely on a credit card to deal with financial emergencies. For one thing, when you put a charge on a credit card, you have no control over what interest rate the credit card company charges you. In fact, if you read the fine print, the credit card company reserves the right to change the agreement at any time. The only thing you have to do to 'agree' to the change is use your card after the change has been implemented by the credit card company. And since almost no one ever reads the fine print, most of the time you don't even realize a change has been made. The interest rate may be high or it may be low, but there will be interest charged. So, not only are you trying to deal with a financial emergency, you are now paying interest on top of it--again, going further into debt at a time that you are trying to take care of a financial problem. As I said at the beginning of this article, the way to deal with financial emergencies is to have money saved for dealing with financial emergencies. If you don't have emergency savings and you put financial emergencies on a credit card, you are going to have to make extra credit card payments later--starting the very next month in fact. Well think about it, if you are so broke that you have no money in savings and you have to put a financial emergency on the credit card, where is the money going to come from to make those additional credit card payments? Don't forget that it can takes years to pay off a credit card if you are just making the minimum payment. So, if your car breaks down, for example, and you put $700 on the credit card to pay for it, you are going to be paying off that car repair for years! It is possible that you may not even sill have the car by then but you'll still be making payments on a car repair for a car you don't even have anymore! And if your money is so tight now that you are broke and have no savings, just imagine the stress of having to come up with money to make the additional credit card payment. If you were able to make the additional credit card payment later, then you should be able to put that extra money into savings now, right? So, if you don't have extra money right now to put into savings every month, then you aren't going to have extra money later to make the increased credit card payments. The stress is increased even more if another emergency comes along before you pay off the last one. You put the $700 car repair on your credit card. In a couple of months the same car needs a new water pump so you put another $350 on your card. A few months later, the water heater in your home goes out and has to be replaced. Since you use a credit card for emergencies, you put another $300 on it to replace the water heater. Then there's the $900 trip to the emergency room. You now have $2,250 on your credit card in less than a year. What about next year's emergencies? What about the year after that? What about if an even bigger emergency comes along this year? Do you see how fast the credit card debt piles up when you rely on a credit card to handle financial emergencies? Plus, you're going to be stressed over the next few years trying to pay off all of these financial emergencies while you continue to add new ones to the credit card balance. Trust me, for most people this situation gets out of hand very quickly. Before you know it, you have more debt payments than you can make. Once you're in that situation, the very next financial emergency that comes along will end up being a financial disaster for you and your family. If you are relying on credit cards to deal with financial emergencies, then you need another solution. Actually, the fact that you are relying on credit cards to pay for emergencies shows that there are other problems in your finances. If your finances weren't so tight, if you were not broke, you would be able to save up money to handle emergencies. If you have little or no money saved up, then in order to be able to deal with financial emergencies, you need savings and you need a plan. The fact that you are unable to save up for emergencies shows that you are spending every penny that comes in. Most likely you don't even really know where it is all going--it's just gone at the end of each month. That's where having a plan (a budget) comes in. It allows you to plan and control your spending and that frees up money to go into savings each month. Once your savings builds up, you are ready to deal with financial emergencies by paying cash instead of using a credit card. Yes, using a credit card to pay for emergencies is very convenient especially if you are away from home at the time you need it; however, a credit card is not the only way to have that convenience. Once your savings starts to build up, just have your bank link that account to a debit card. The card works exactly the same way as a credit card, but the money comes directly out of your savings--no interest, and no payments. And as long as it is a branded debit card (Visa, Master Card, etc.) you have the same fraud protection you would have with a regular credit card. Since each card and each bank is a little different, be sure to check with your bank for the details. So remember, you don't need a credit card to deal with financial emergencies, you need savings and you need a plan.